Sicily's two finest ingredients combined. Incredibly spicy and fiery. Tender and spicy, this is a very strong taste for the most resistant of palates that's sure to please connoisseurs of spicy food. 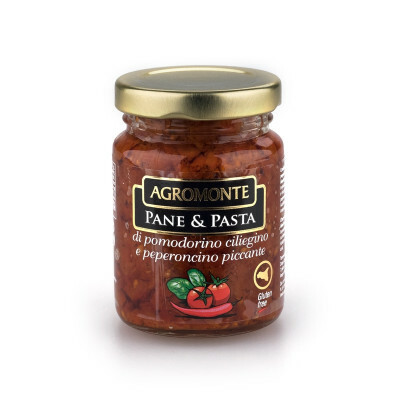 A winning combination of delicious cherry tomatoes and red chilli pepper represent Sicily's cuisine in a nutshell, and offer a real appreciation of the rich, spicy food that's perfect to enjoy in the summer sun. 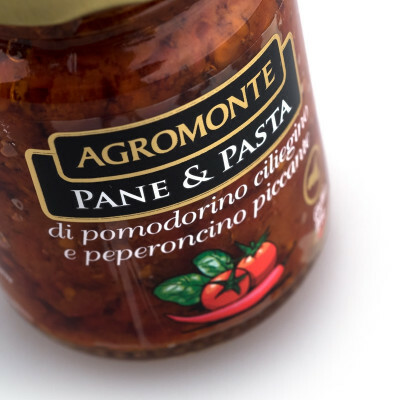 Ideal for enriching the flavour of bruschetta and focaccia and of first courses and omelettes, or alternatively they can be added to pasta for a bit of heat. 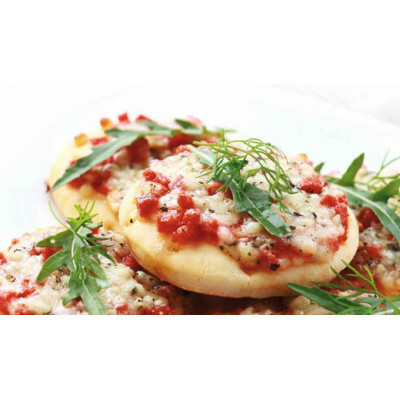 You only need a few tablespoons to accentuate your dishes and make almost anything Sicilian-style. Dried and cherry tomato grinded(70%), sunflower oil, red chili pepper(2.5%), salt, basil, garlic. Acidifying: citric acid. Antioxidant: ascorbic acid.